Lemonhart 151, Wray & Nephew, Bacardi 8, Appleton White, Coruba Dark, fresh grapefruit and lime. 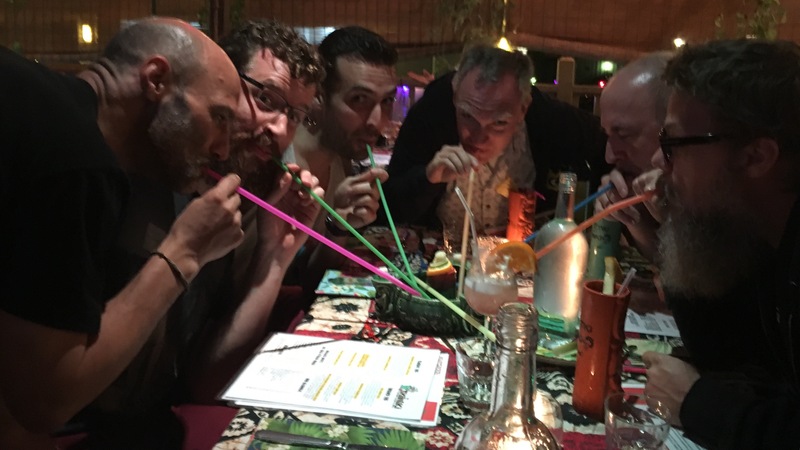 Drinking with Stephane Daury, Gary Pendergast, Alex Shiels, Andrew Ozz, and Mark Uraine. Photo courtesy of Samuel Sidler.